Coimbatore : Āyur Kōvai Ārōkkiya – a year-long program intended to create awareness among the city dwellers about importance of wellness and the maxim that ‘health is a social responsibility’ would be launched here on April 7. 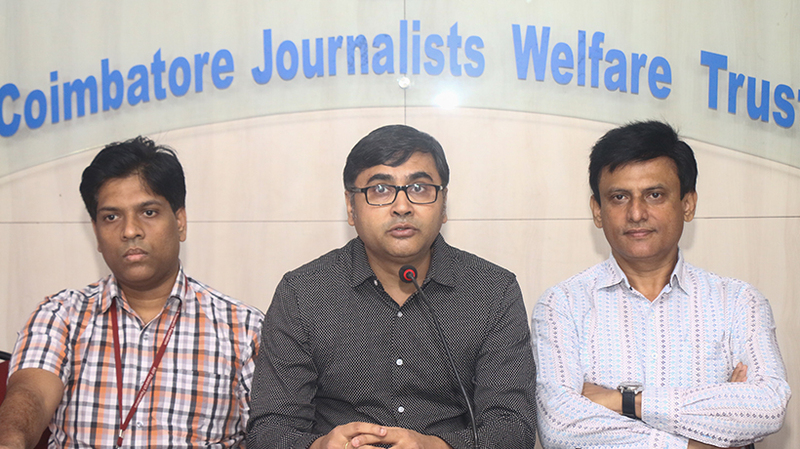 “The AyuRUN will also be organised on the day, as part of the World Health Day, Race Director, K.A Kuriachan and Dr. Somit Kumar, Director AVP Research Foundation told reporters here today. AyuRUN – Run for Healthier Coimbatore- through Ayurveda, is a mass run being organised by group of health enthusiasts with support of AVP to mark the launch of Kōvai Ārōkkiya 2019, the 4th edition of the community outreach initiative of the Foundation now nurtured by the city dwellers, Somit Kumar said.. The event is supported by The Arya Vaidya Pharmacy (Coimbatore) Ltd. This 5.5 km run at 6 am at Race Course Road is open for all above the age of 15 years, with a registration fee of Rs. 200 and online registrations at www.avpayurveda.com/ayurun2019 are open and will close on April 6, they said. Commandant B. Jayakrishnan of 105 RAF, Coimbatore will be the Chief Guest of the Program, and Managing Trustee of Aram Foundation, Latha Sundaram will be the Guest of Honour, Dr. PR Krishnakumar, Chancellor of Avinashilingam University and Managing Director of The Arya Vaidya Pharmacy will launch ĀyurKōvai Ārōkkiya 2019 after the run.